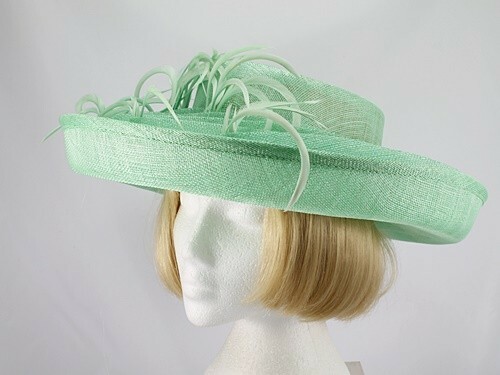 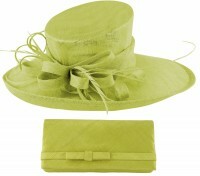 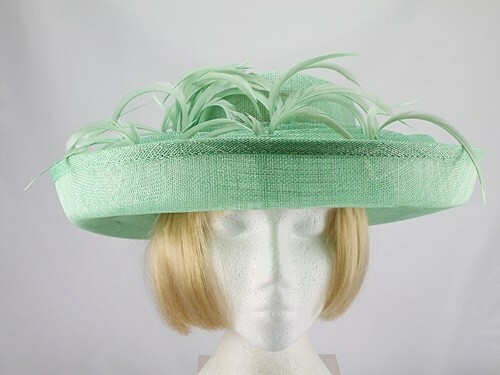 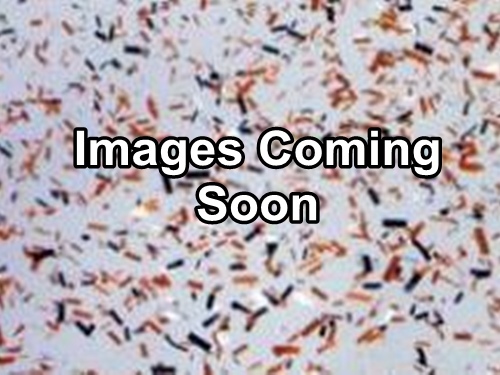 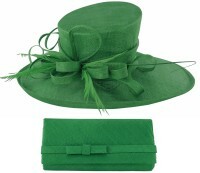 Blackberry Hats Mid Green Formal Hat from Ascot Hats 4U. 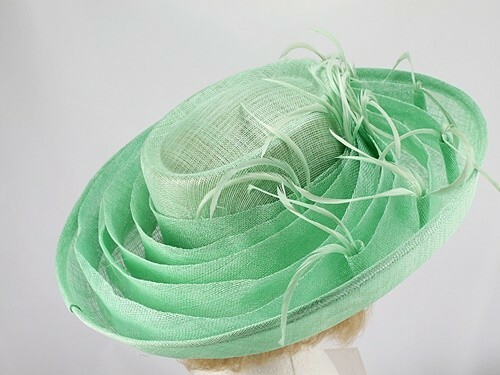 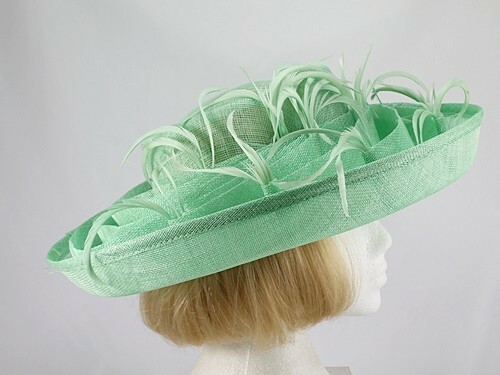 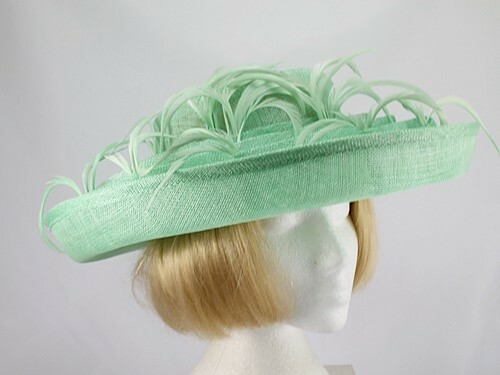 This pretty Blackberry Hats Formal Hat in mid green measures approximately 38cm across the brim and is made from sinamay with feathers. 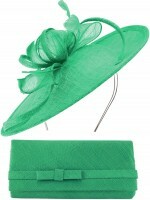 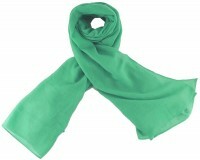 Made in United Kingdom.